Mr. Rifkin is a senior partner of Wolf Haldenstein and a member of the firm’s Management Committee. Mr. Rifkin is an experienced securities class action and shareholder rights trial litigator with extensive appellate experience. Mr. Rifkin’s practice areas include complex class actions representing clients including institutional investors such as public and labor pension funds, labor health and welfare benefit funds, and private institutional investors who suffered losses from securities law violations. He is a member of the Firm’s litigation team that recovered over $7 billion for investors. 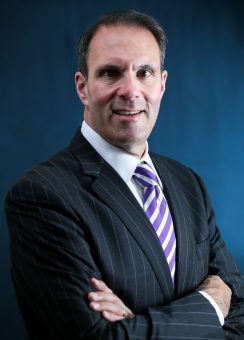 Mr. Rifkin is a senior member of the Firm’s Investor Protection, Business Practice, Consumer Protection, Labor and Social Justice practice litigation groups with an emphasis on Securities and Derivative Litigation, Copyright, IP & Public Domain Protection, Wage and Hour law and Consumer Protection. He joined the Firm in 2003. Before joining Wolf Haldenstein, Mr. Rifkin practiced complex commercial litigation in Philadelphia for almost 20 years. Served as lead counsel, co-lead counsel, and/or trial counsel in many class and derivative actions in securities, intellectual property, ERISA, antitrust, consumer and mass tort litigation throughout the country. Argued dozens of appeals on behalf of appellants and appellees in several federal appellate courts and in the highest appellate courts in New York, Pennsylvania, New Jersey, and Delaware. Has litigated cases to trial and received favorable verdicts for his clients. Represented institutional investors, including many public and Taft Hartley pension funds and private institutions, in representative and individual securities and shareholder litigation recovering hundreds of millions of dollars for victims of corporate fraud. Lead counsel in the first class action over a disputed copyright related to the world’s most famous song, “Happy Birthday.” Good Morning to You Productions Corp. v. Warner/Chappell Music, Inc. Mr. Rifkin and Wolf Haldenstein achieved worldwide acclaim from this groundbreaking litigation and its successful outcome. Lead counsel on another noteworthy historic class action that challenges the copyright to “We Shall Overcome,” a song that the Library of Congress has called the most powerful song in the United States history. We Shall Overcome Foundation v. The Richmond Organization, Inc.
Co-lead counsel representing college football players in a wage and hour class action against the NCAA and PAC 12 alleging that FBS Division I college football players must be paid minimum wages under state and federal laws. Mr. Rifkin is rated AV, the highest rating given by Martindale-Hubbell®, the country’s foremost legal directory. Mr. Rifkin was profiled by Law360 as a “Titan of the Plaintiffs Bar” and was designated as a “Trailblazer” by the National Law Journal. Mr. Rifkin is a member of the American Bar Association and the New York State Bar Association. He lectures frequently to business and professional organizations on a variety of business, intellectual property, and shareholder matters. Mr. Rifkin appears regularly in print and broadcast media on law-related topics in securities, corporate, intellectual property, antitrust, regulatory, and enforcement matters. Mr. Rifkin is also a guest lecturer to graduate and undergraduate economics and finance students on corporate governance and financial disclosure topics. He also serves as a moot court judge for the A.B.A., Yale Law School, and New York University Law School.